The beauty industry has expanded rapidly in the recent years. And right now running a hair or nail salon proves to be a profitable business. Some of the greatest and biggest expenses in starting a new salon, hair salon or nail salon are supplies. Before beginning with any business one of the crucial step is to draw up a smart and good plan for it. Preparing a big list of what essential equipment you need to start a hair salon is a sensible step towards in securely financing the Salon, or maintaining the cash flow list. Here is a list of essential hair salon equipment you will need when starting a new hair salon. If you are thinking to start a hair salon, you will also require the latest hair blow dryers, hair straighteners, hot rollers, hair curlers and other; latest multi-styling kits to keep up with new hair styling demands of your clients. You can also go through hair styling magazines or latest hairstyles online to get a brief idea about the latest hair styling tools required in this business. This is one of the most essential and basic furniture that one will need to start a hair salon. There is a wide variety of hair styling chairs available in the market that come in different forms and colors. When picking up such chairs, always make sure that they go well with the decor of your salon and most important they are functional. Yes, you will require about two shampoo bowl for every four stylists. Also, make sure the shampoo bowls and styling chairs you choose can function well together and be easily adapted for your clients. Most of the salon equipment suppliers in the market also sell rubber lips, that are easily fitted over bowls, reducing the horrible neck pain! It is impossible to run a hair salon successfully without carts and trolleys. 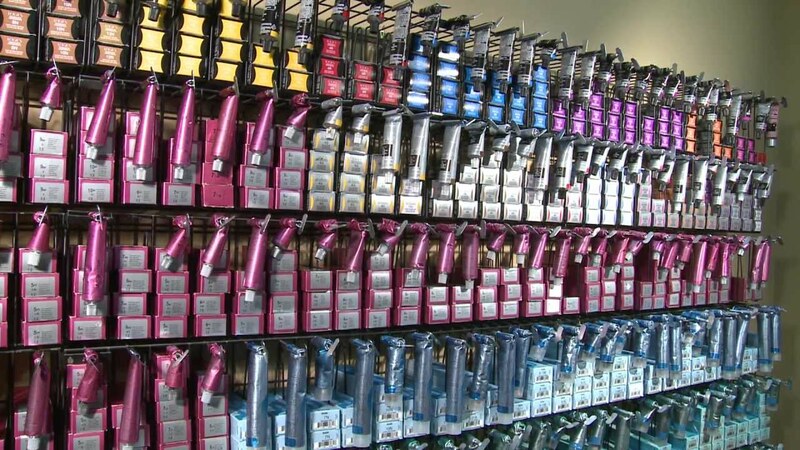 Carts and trolleys are crucial furniture equipment for stylists who require having all the hair styling tools next to them while attending to a customer or client. Also, these equipment enables portability and easy storage of all hair styling tools. This is another important piece of hair salon equipment required for a hair salon. There are several amenities and designs available with the styling station that you can choose from. A hair styling station should include storage drawers, mirror, tool holders or compartments, and an additional electrical outlet. To sum up, these are some of the essential equipment you need to start a hair salon. Before buying any salon equipment always make sure to consider how environmentally friendly you may want your hair salon or spa to be.